I am a through & through geek & when I am into a subject I do research & by research I mean I read books...so it is kind of unsurprising that I have a collection of fashion books. The fashion in books is very different to the fashion that appears in magazines & in ad campaigns simply because of the nature of the medium. 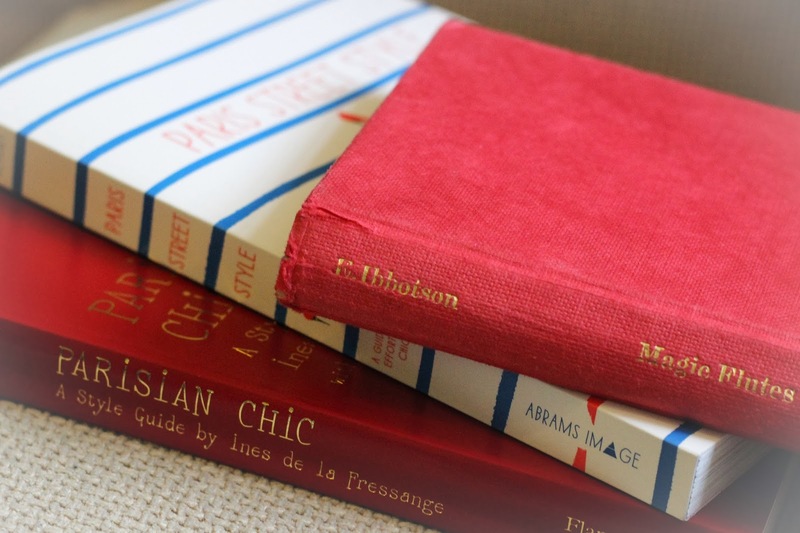 The fashion in book form is more...timeless? simply because otherwise it wouldn't sell & it is also more abstract...it's not selling the idea of a specific outfit but the idea of a way of dressing & - in the case of the books I prefer - a place & a way of life. 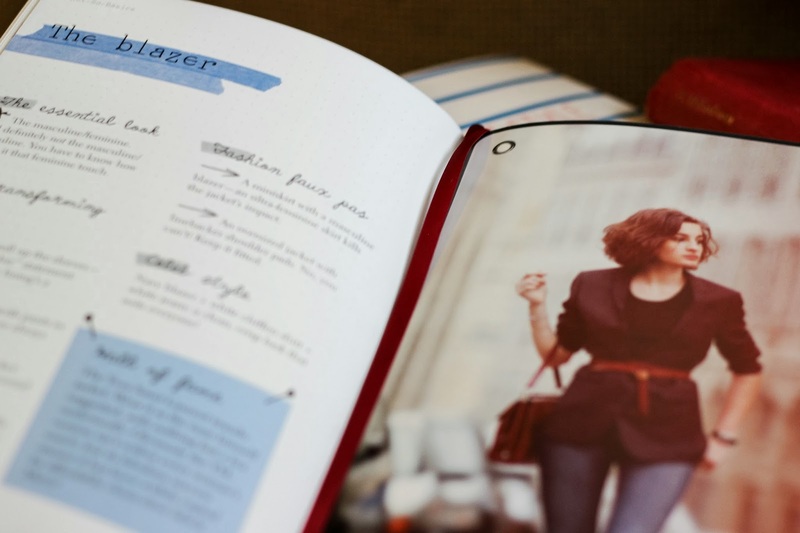 So, I think my favourite favourite book is 'Parisian Chic' by Ines de la Fressange with Sophie Gachet. I swear that in reality I am a Parisian & my mum just forgot to tell me....regardless, in the depths of my fashion soul I am Parisian & this fashion book appeals to me. 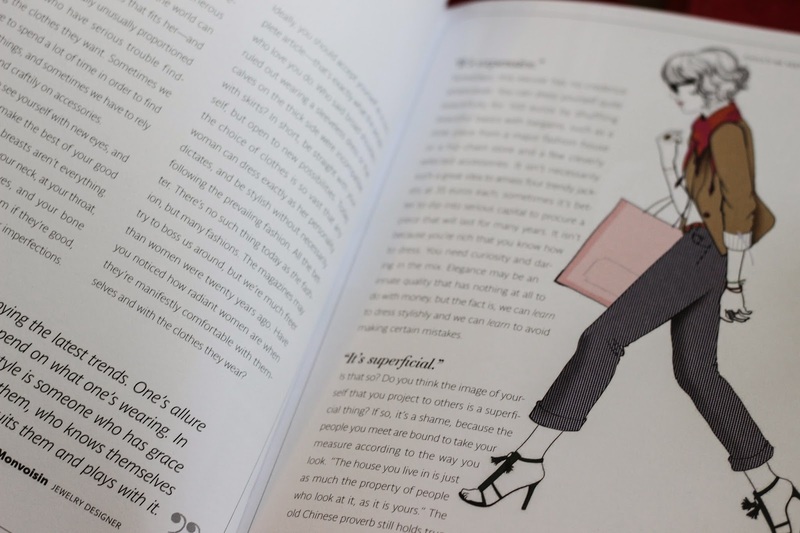 The concept of the book is that a Parisian's wardrobe is comprised of basics worn with humour & a quirky, edgy sense of style. The book also contains a guide to the best Parisian boutiques, as well as their websites, information on the Parisian way to do makeup, the Parisian style of home décor, the Parisian way to entertain guests & a Parisian's guide to Paris. I know it sounds a little like a book on how to pretend you are something you are not (& I guess it kind of is) but it all resonates with me. Except for the recommendation of a straw bag which I don't get...maybe a non-translatable French thing? My next favourite fashion book is also a Parisian fashion book; 'Paris Street Style' by Isabelle Thomas & Frederique Veysset. 'Paris Street Style' is very similar to the last book but, perhaps, a little more edgy, modern & a little younger. The book is full of interviews, fashion illustrations, tips & photos of Parisian fashion icons. There is a tiny section in the back that is a guide to Paris but it is kind of irrelevant if you've got the other fashion book. What this one does particularly well is talk you through fun, original ways to wear things that we all have, or have access to. My final fashion book is actually not about fashion...sounds weird but hear me out. 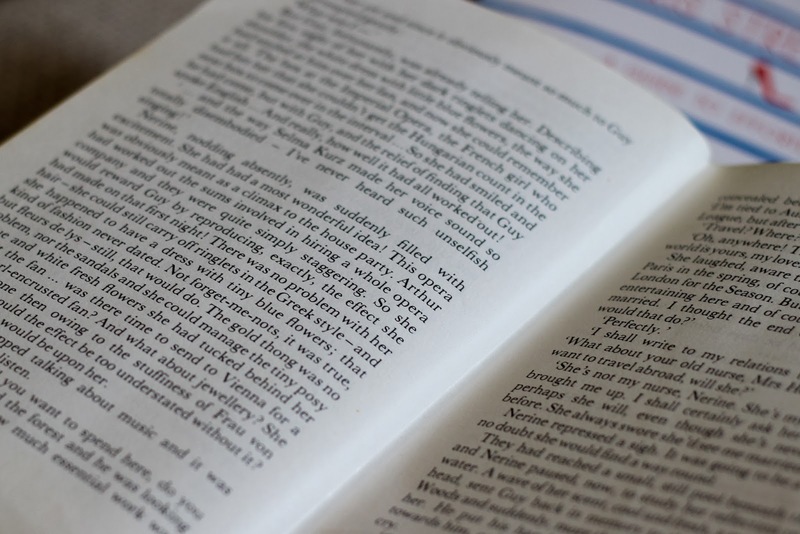 'Magic Flutes' by Eva Ibbotson is a romance novel about an impoverished Austrian princess & a foundling from Newcastle....sounds awful but the Eva Ibbotson romances are brilliantly written. The character that makes this my favourite fashion book is actually the...baddie of the book? Kind of, she is a vapid, vain, self obsessed woman who the romantic hero thought he was in love with making it all complicated. All this woman thinks about is clothes but a lot of the way I think about clothes is, almost unconsciously, created by things this character says or thinks, including my unshakeable belief that dresses with tiny blue flowers never date. So, what are your favourite fashion books? Do you have a character who inspires the way you dress or the way you think about clothes?